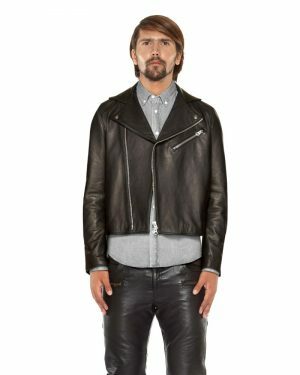 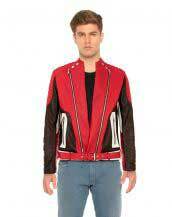 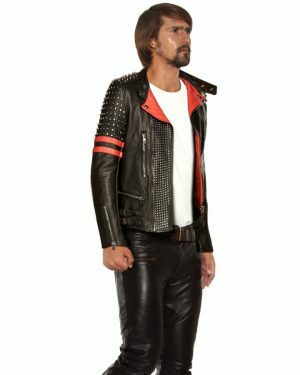 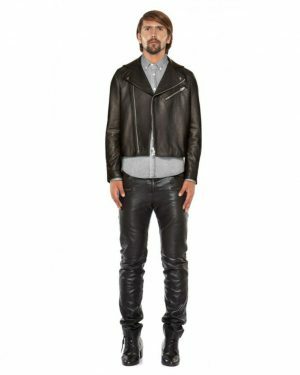 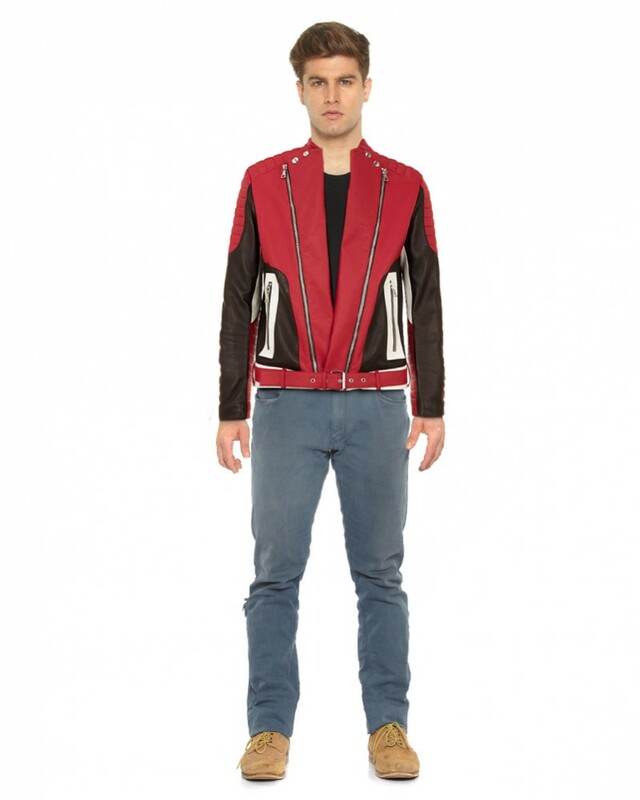 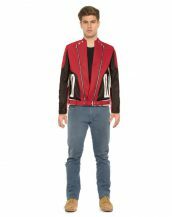 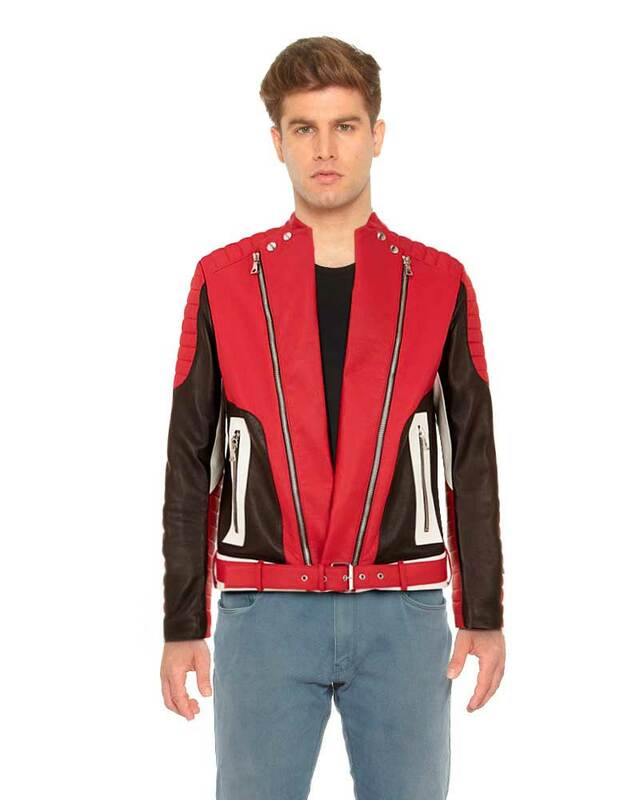 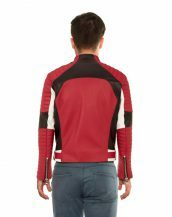 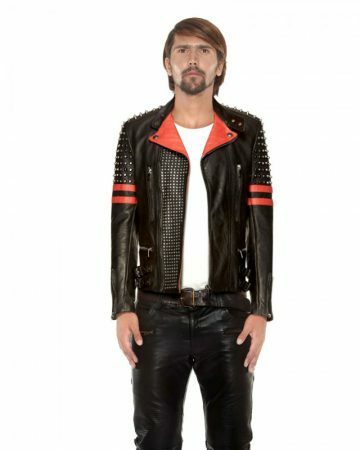 Get this mens red leather jacket online with quilted shoulder and arm panels to turn heads. 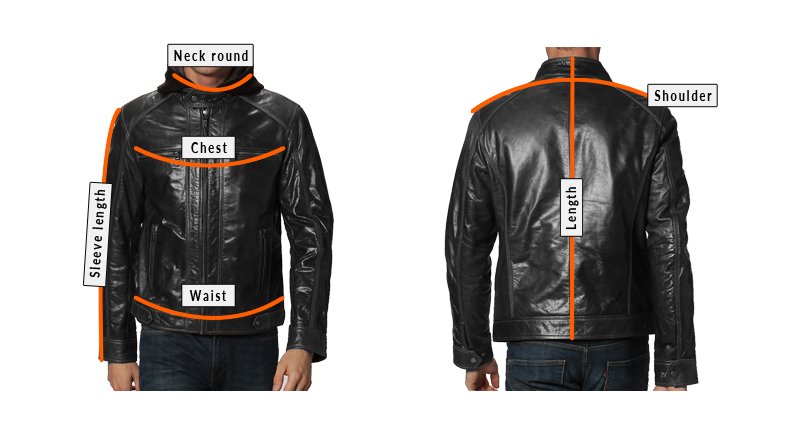 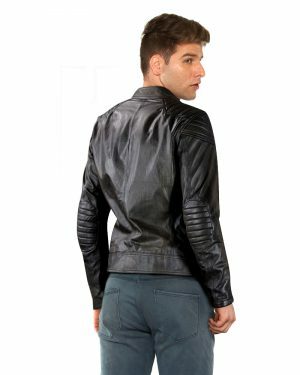 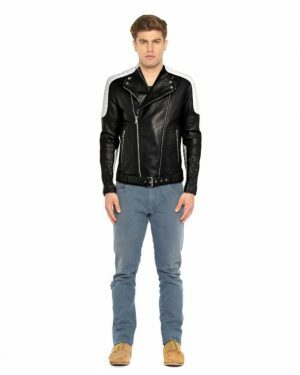 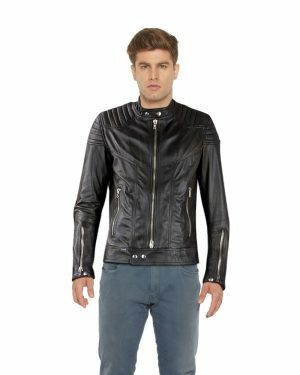 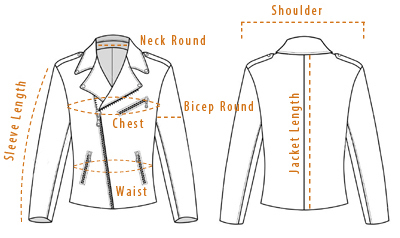 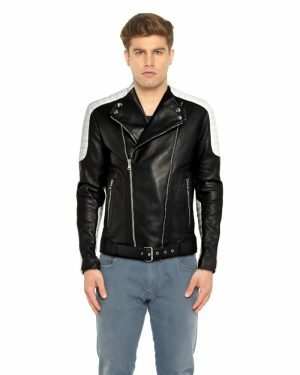 This jacket has been beautifully designed with snap button closure with zip down lapel and zipped cuffs. Red leather moto jacket can offer you an elegant and smart appearance with ease.